If there’s one thing that has bedeviled General Motors for the last several decades, it’s quality. So when the company announced a few years back that it was working to get the quality of its cars up, we weren’t sure how serious they were. But now we know just how serious – the fourth quality chief in less than four years just left. 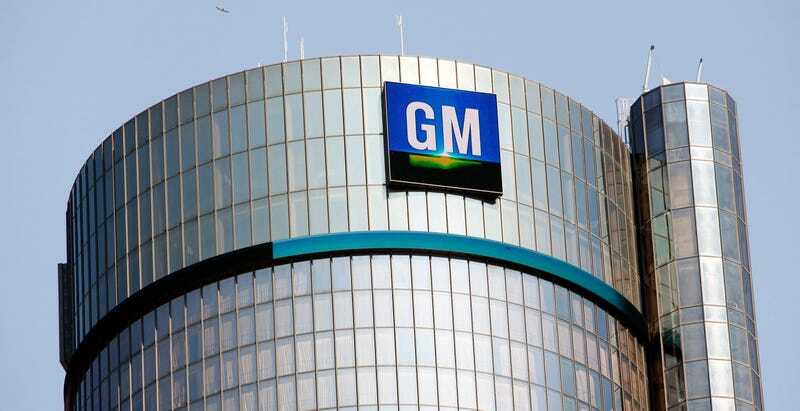 Her retirement was announced internally earlier this month, a GM spokeswoman confirmed today. Her replacement will be announced “at a later date,” according to a Dec. 1 internal memo. Lieblein, 55, is one of GM’s highest-ranking women and a close confidant of CEO Mary Barra, having risen through the company’s engineering ranks together. Lieblein took the top quality job a year ago, reporting directly to Barra. Now, I don’t know exactly why Lieblein would retire, just one year into an extremely high ranking position at GM, and after an illustrious career fronting all sorts of incredibly large operations, such as the company’s operations in both Brazil and Mexico, and a stint as GM’s purchasing chief. It just seems, I dunno, odd? Hmmm. And what sort of top executive plans for a long time to retire at 55? Most of them hang on forever, before they’re finally pushed out by an angry shareholder at age a billion, decades past their actual usefulness. HMMMMMM. And have you seen the Chevy Malibu’s gray-on-gray interior? Anyway, Lieblin’s husband was a GM engineer, and he retired not too long ago. Maybe they just want to see France together, or something. In truth, these things are complicated, and who knows why Lieblin left? Could be something having to do with “perceived quality” issues, or “ongoing quality” issues, or GM’s quality, which has noticeably increased over the past few years, especially in the post-bailout era, maybe just isn’t getting better fast enough. The company has seen been huge leaps in some areas and massive disappointments in others. Still, going through four different people in less than four years for the same job definitely isn’t a good sign. Or maybe Lieblin just didn’t feel like working anymore. I get that. Today’s Tuesday. I could retire right now. Why not? I’ve always wanted to learn how to golf properly, I suppose. How does one golf? I know there’s a bat and a ball, and possibly a puck. Looks like fun.